I finally made the switch to using DuckDuckGo for search, full-time, and I couldn?t be happier. I tried switching from Google to DuckDuckGo then to Bing and back to Google within the last year. The search results didn?t seem to be a good as Google?s, but that has seemed to change. I made the most recent switch over a month ago on my main development Mac, which I use most of the day, as well as my MacBook and iPad. Since I can?t switch search providers on the iPad running Chrome, I have to use Safari but it?s a small price to pay. The problems I used to see with DuckDuckGo was missing search results. I would compare results to Google and the results that helped me most were coming from Google. 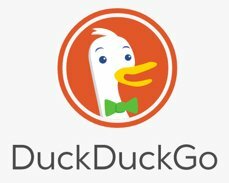 DuckDuckGo often had irrelevant or the least relevant first. This is not the case today. I spot check the results with Google and DuckDuckGo is spot on or better. When I see poor results in DuckDuckGo, I see poor results for the same search in Google. Both search engines are good but I feel morally better supporting DuckDuckGo.